Noctua. A name that should be familiar to anyone who has been around the PC building industry for any amount of time. 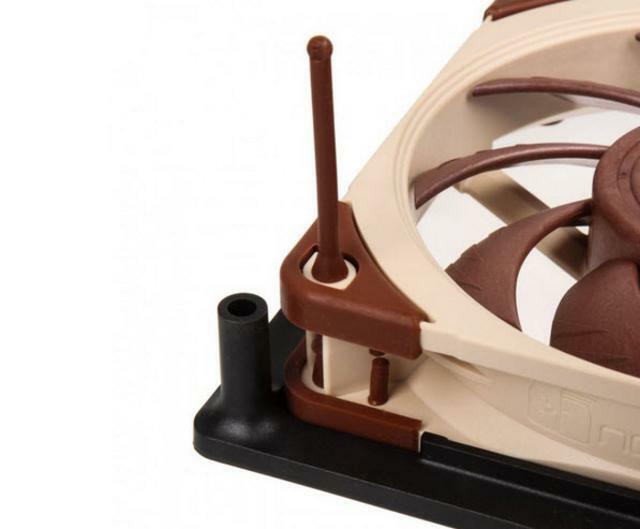 Noctua also is a leader in aftermarket PC accessories. With the new NA-SFMA1 set , Noctua offers a bundle of two NA-FMA1 adapter frames . These allow Noctua 120mm fans to be mounted on 140mm radiators or other 140mm fan mounts, such as in the chassis. The adapter frames are specifically designed for the NF-A12x25, Noctua's flagship fan, but also the models NF-F12, NF-S12A and NF-P12 redux are compatible. The front of the box has a fairly sophisticated look, with minimal information provided. I, personally, believe this is a show of confidence. Noctua feels no need to brag or display what's inside, they know you will buy their products on their reputation alone. The back of the box covers only the items found inside. The front opens upward. The NA-SFMA1 set includes 2x NA-FMA1 adaptors and 8x NA-AV4 anti-vibration mounts. There is a small leaflet with all the instructions on it. The included NA-AV4 anti-vibration mounts dampen any minute vibrations that may otherwise be transferred to the radiator and on to the PC case. The anti-vibration mounts are made of rubber and will avoid damaging your fan finish. Also, it preserves the screw mounting holes on your fans. The screw holes tend to get larger after several installation-uninstallation process but with these rubber anti-vibration mounts, the holes will remain like new. The AV4's end makes it ideal for standard and open corner fan mounts. It is perfect for flat case panels particularly if you want to avoid using screws where it could damage the finish of the panel. The plastic frame looks very sturdy. First pull the NA-AV4 anti-vibration mounts through the fan mounting holes of the adaptor. Be careful though, you can also break the rubber mounts when applied with too much force. Then you must put on the 120x25mm fan so that the tips of the anti-vibration mounts stick through the fan's mounting holes. Pull on the tips to fix the fan until pawl number 5 is all the way through. Only pull pawl 5 through the hole. Don't overstretch the mounts by pulling the next pawl through! Finally put the adaptor on your water cooling radiator (or other application)and fix it with the screws supplied with the radiator. For other applications, you can use either standard fan screws or other, custom screws to fix the adaptor. The set can be equipped either with a 280 mm radiator with two 120 mm fans or a 140 mm radiator in a push-pull configuration. Testing a high-end fan such as the Noctua NF-A12x15 is tricky and somewhat inaccurate given the tolerances of both a silent cooling device and the harsh environment found inside every computer case. For now, Noctua is only releasing the 120mm NF-A12x25. However, for users who want to use it on a 140mm mount, there is the NA-SFMA1 accessory. And that kit i used in our scenario adding two Noctua NF-A12x25 PWM fans on the NZXT Kraken X62 AIO. Ambient temperatures are kept at 23C throughout my tests. Idle temperatures are obtained after booting the PC and idling on the desktop for 30 minutes. Load temperatures are obtained after running OCCT test for 15 minutes. To measure noise levels i disable the two front in-take fans, rear exhaust and GPU fan. As you can see the results the Noctua NF-A12x25 comes out with slightly lower temperatures. The Acoustic performance of the Noctua NF-A12x25 speaks for itself – that’s if you can even hear it! You can see all that slaving away by Noctua to fine tune every part of their Noctua NF-A12x25 fan has paid off. We have no doubt about the top quality of Noctua products. Each one of them is well designed. 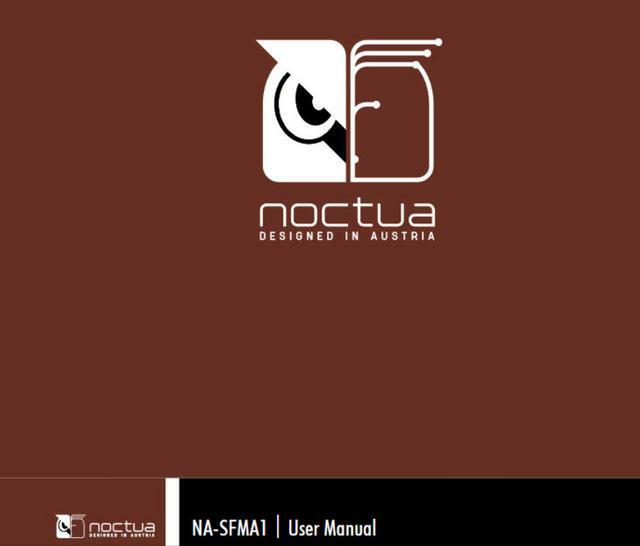 The NA-SFMA1 is the perfect choice for those who want to equip their 120 mm Noctua fans with 280mm liquid cooled radiators. The assembly is made simply by means of original screws on the radiator or housing. The fan frames are connected to the fans using NA-AV4 anti-vibration mountings. The Noctua AV4 anti-vibration mounts is more than just addressing vibration issues in using high-RPM cooling fans or radiators, it also protects the finish or surface of your case when using screws. The anti-vibration mounts also make it possible to install cooling fans with ease. Long years of designing and engeneering gave great results. Where you could think there can't be done much more, Noctua proved that even the best products can be improved. The NA-SFMA1 thus allows the performance of 140mm-based all-in-one (AIO) or custom (DIY) watercooling systems to be boosted by replacing the fans with NF-A12x25s. Thanks to the superior efficiency of the NF-A12x25 fan, the NA-SFMA1 thereby enables users to boost the performance of their 140mm radiators by replacing the stock fans with NF-A12x25s. In addition to the two adaptors, the NA-SFMA1 includes eight NA-AV4 anti-vibration mounts, which give the extra benefit of dampening any minute vibrations that might otherwise be transferred to the radiator and on to the PC case. Significantly an investment compared to the free screws included in most aftermarket cooling fans but it could be a good investment if you highly consider the benefits mentioned above. Prices for the NA-SFMA1 is fair in my opinion at EUR 11.90 / USD 11.90. Last edited by testman78; 05-17-2018 at 01:04 PM.